Each case study is unique in their approach, but all face similar challenges and responded in innovative ways. Below are the three common themes and system challenges. Across the province a low supply of affordable housing has resulted in growing waitlists, challenges in acquiring new housing units and difficulties accessing high-quality spaces. Further investments are needed to solve this problem, but supportive housing providers have developed innovative strategies to manage some of the challenges. Flexibility and some variance is important for providers to meet the particular needs of the communities they serve, however, the variability in services can pose a challenge for people navigating the supportive housing system. Along with clearly defined supports, common assessment tools are needed to determine the service needs of clients and to better monitor outcomes. 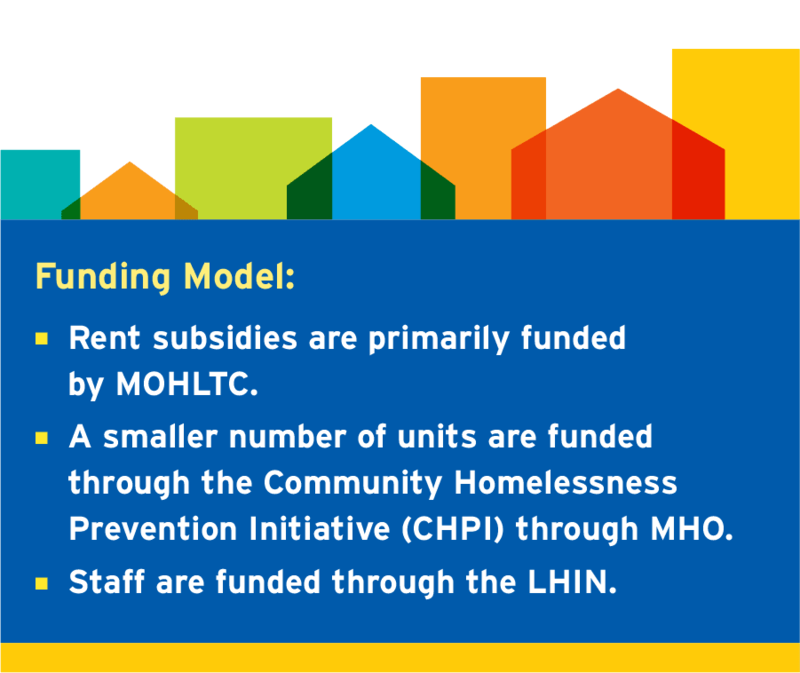 The supportive housing system balances between health and housing, resulting in complicated funding streams, often with different priorities and reporting requirements. With greater system coordination and planning at a regional level, the supportive housing sector could be more efficient. 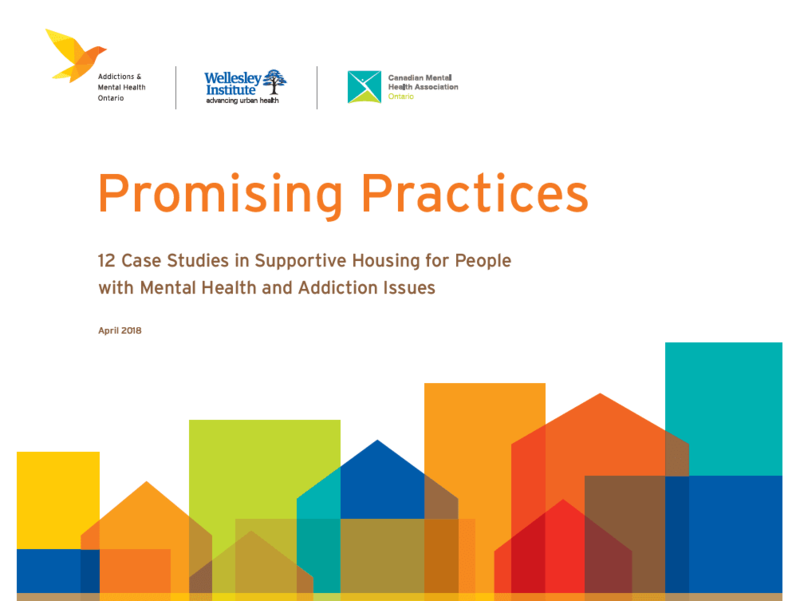 The case studies documented in this guide are examples of the high quality work that is being done across the supportive housing sector. They serve as replicable or adaptable examples of promising practices in supportive housing along with shared resources that can be borrowed and modified for use in other supportive housing programs. 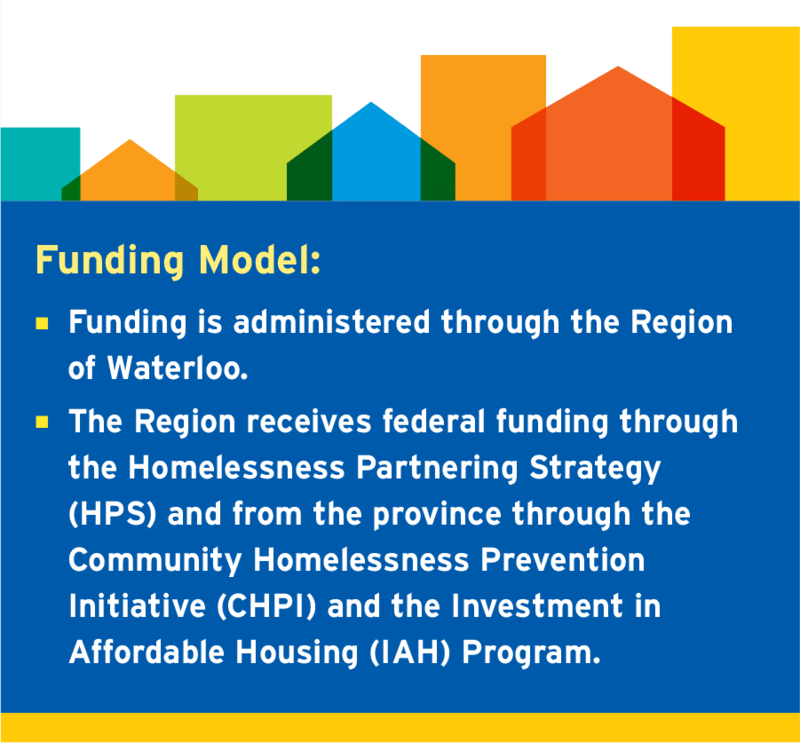 The Region of Waterloo funded four organizations to collaborate and run a two-year pilot, with the goal of housing 50 individuals from that list who have the highest chronicity and acuity. The pilot design was strategic. It involved a systematic approach, to engage participants from the by-name list and transition them into housing. Using a three phase approach to transition homeless individuals into housing. Supporting tenants to maintain their housing following a five stage work plan to recover from homelessness. Partnership between the Region and four organizations with experience in outreach, housing and support. 11 People went back to homelessness. Of these 11, 8 were re-housed through the program. 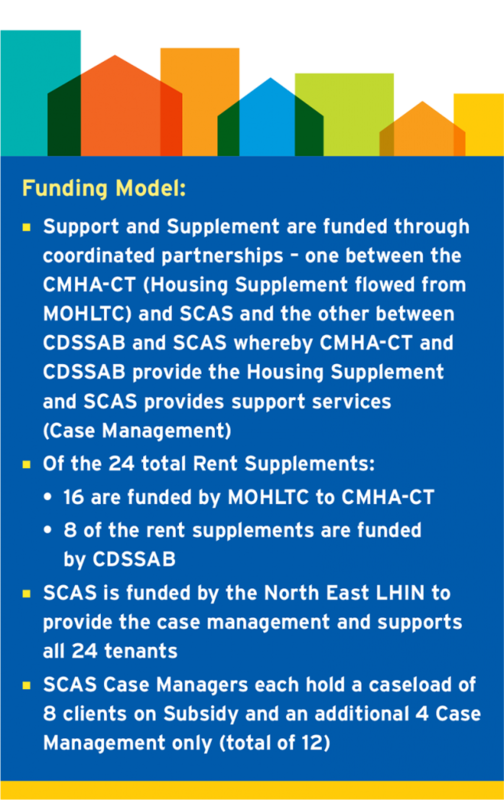 CMHA Lambton-Kent’s supportive housing program began in 2002 and adopted a housing first approach in 2013. 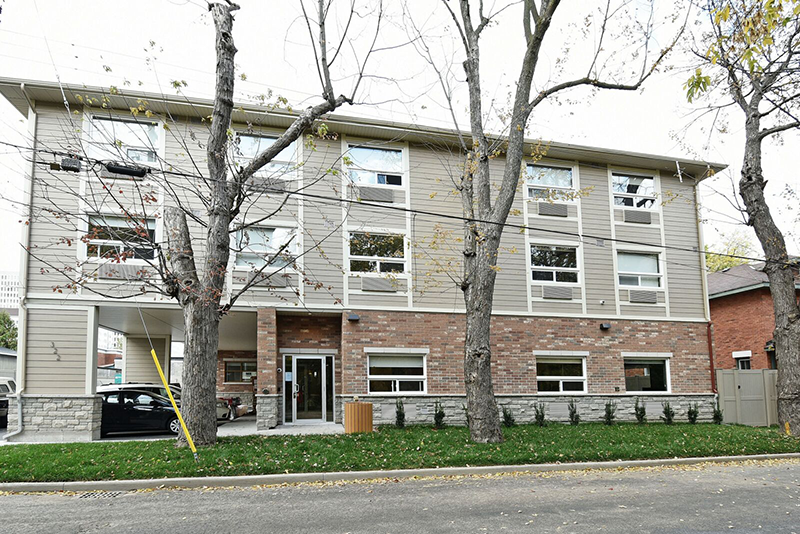 As part of this change, CMHA Lambton-Kent transitioned 20 tenants from 3 group homes into self-contained private rental units. Today, CMHA Lambton-Kent houses over 200 residents in their permanent supportive housing program. Supporting tenants to transition from living in group homes to self-contained supportive housing units. Housing tenants with private landlords under a housing first model. Incremental successes include things like hearing from tenants that they are now a member of the YMCA, that they got a job, or that they are in school and that they attribute this to having housing and supports or that they feel safe and happy in their home. In the CHPI funded program, the first reporting cycle of 8 months, there was an 80% reduction in ER visits across their entire supportive housing program. Family Services Windsor-Essex is a community lead agency for a collaborative program to address local homelessness through a housing first approach. Working through a by-name list of homeless individuals using a housing first approach, conducting outreach to initiate contact with services. Using a trauma informed approach to providing support. Partnership between experienced support agencies, housing outreach services and the municipal housing corporation. Strachan Housing opened in 1998, replacing the former StreetCity project. It provides transitional and supportive housing, using a low-barrier approach and “assertive tolerance” principles, for people who have experienced chronic homelessness. Creating a community within a community in a changing neighbourhood. Practicing “assertive tolerance” to accommodate and support individuals with complex needs. 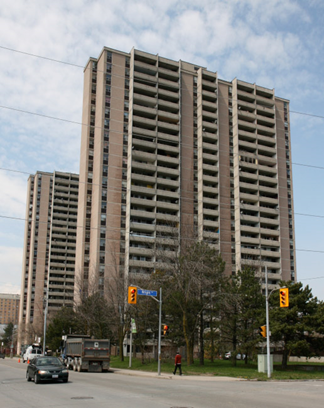 96% of tenants remained stably housed at Strachan House. 96,360 nutritious meals were served. 9 people from City of Toronto Streets to Homes partnership were successfully transitioned to permanent housing at Strachan House. Hong Fook is a multi-service mental health organization serving East and Southeast Asian communities in Greater Toronto, through clinical mental health services, self-help, family initiatives, prevention and promotion, youth services and training. Hong Fook started their supportive housing program in 2001 and today houses 60 families, with 103 people. 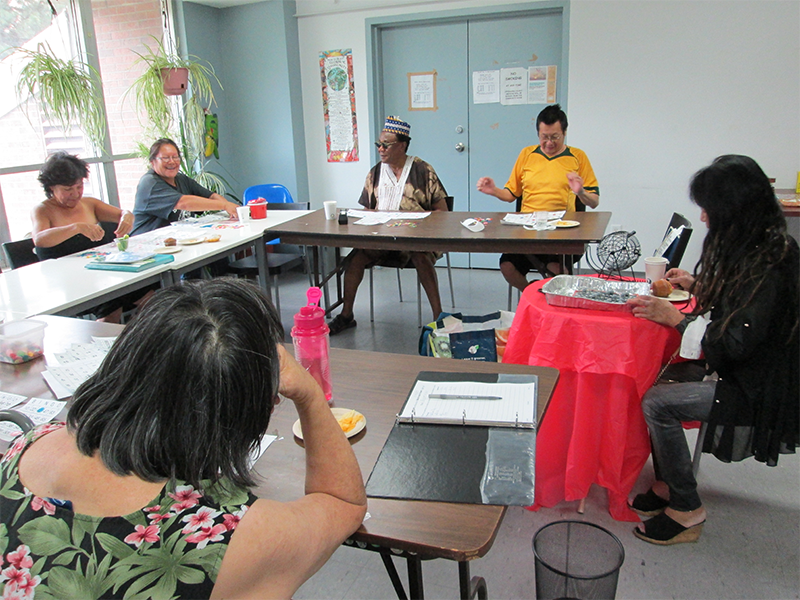 Providing culturally competent services to East and Southeast Asian communities across the GTA. Assisting clients to find housing of their choice in their communities of choice by building partnerships with non-profit housing providers and private landlords. Providing culturally responsive ongoing support. 85% of tenants agreed with the statement “The services I have received have helped me deal more effectively with my life’s challenges”. 86% of tenants agreed with “I think the services provided here are of high quality”. 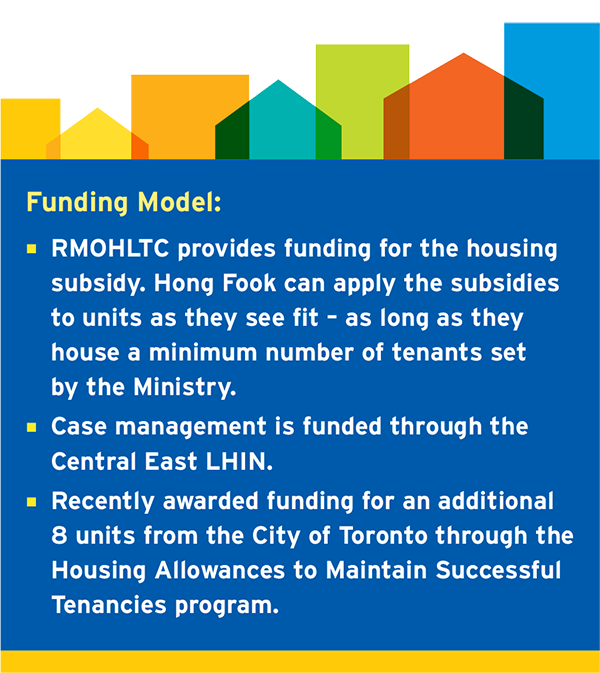 Houselink partnered with Toronto Community Housing (TCH) to provide on-site supports to tenants in 2 TCH buildings that were identified as having many tenants with complex health problems including mental health and addictions issues. Determining resident needs and getting the right services for the people you support. Supporting tenants with mental health and addictions issues in municipal housing using a supportive housing model and a partnership. The buildings involved in the Steps program have seen an increase in safety and security and decreased use of emergency services, and the tenants have seen improved health outcomes. With deliberate planning, Steps staff are able to coordinate services effectively knowing which service providers were already in the buildings, bringing in services where there were gaps and improving tenancy outcomes through arrears follow up and other eviction prevention activities. At the Rita Thompson Building, supports are provided on site 24/7 including case workers from JHS and medical services provided by Ottawa Inner City Health (OICH) – a non-profit organization that provides health care to homeless and street involved people. Combining housing with onsite clinical health services to support and house men who experienced long term homelessness. Reducing tenant involvement in the criminal justice system and hospital through diversion. The Step Up program consists of 20 supportive housing units located in a large high rise building for tenants transitioning out of High Support Housing. The program began as a response to the need to create “flow” in high support housing in order to move ALC (alternate level of care) patients from the Centre for Addiction and Mental Health (CAMH) into the community. Partnering with high support housing providers to transition tenants into lower support housing. Facilitating tenant-directed moves by supporting tenants to make an informed choice and providing the necessary supports needed for the transition. 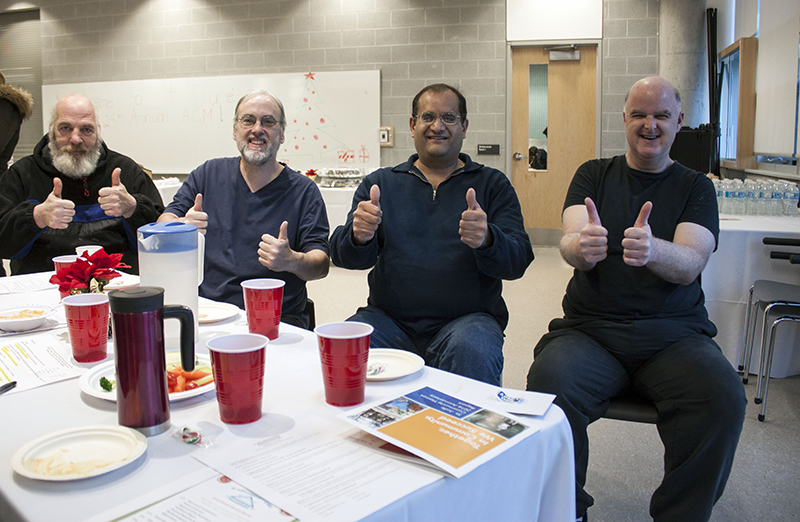 Overall, the Step Up program has been successful at transitioning tenants out of High Support Housing, enabling other clients to move from the hospital into high support housing in the community. It has created “flow”, with benefits to the entire system. Since its inception, 26 individuals have moved into the Step Up program. Having identified one building that needed greater supports, Social Services Sault Ste. Marie partnered with the local CMHA to convert ten units on one floor into a new high support program. Partnering between the Sault Ste. Marie Housing Corporation and the Canadian Mental Health Association (CMHA), to incorporate 10 high support units within a building. Providing on site supports to improve the safety of the entire building. Partnering with other service providers to streamline intake, assessment, and supports. Improvement to the entire building. Fewer calls to housing and police services. The Addiction Supportive Housing Program SCAS began in 2011, responding to the need for housing among SCAS clients and a recognition that without housing and basic needs being met, treating addictions cannot be as effective. Building connections with landlords to acquire housing units. Balancing flexibility and structure to support tenants for improved health outcomes. Partnering between funders and local organizations to deliver an effective supportive housing program. Their occupancy rate consistently remains above the intended target of 80%. Visits to the emergency department among SCAS clients dropped radically. Staff attribute these outcomes to the tenants having a safe place to live, a good support network and connections to necessary ongoing health services. St. Jude Community Homes (SJCH) provides permanent supportive housing for people with mental health issues. 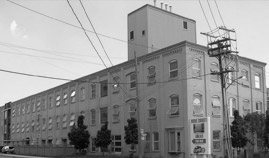 Located in Toronto’s inner city for over 30 years. The main goals of SJCH are to give people a safe place to call home, connection to community, and a place to thrive in their recovery. Sustaining long term tenancies through supports and creating a sense of community in a dedicated building. Supporting long term tenants to age in place. 36% have lived with SJCH longer than 10 years and 52% between 5 and 10 years.</li? 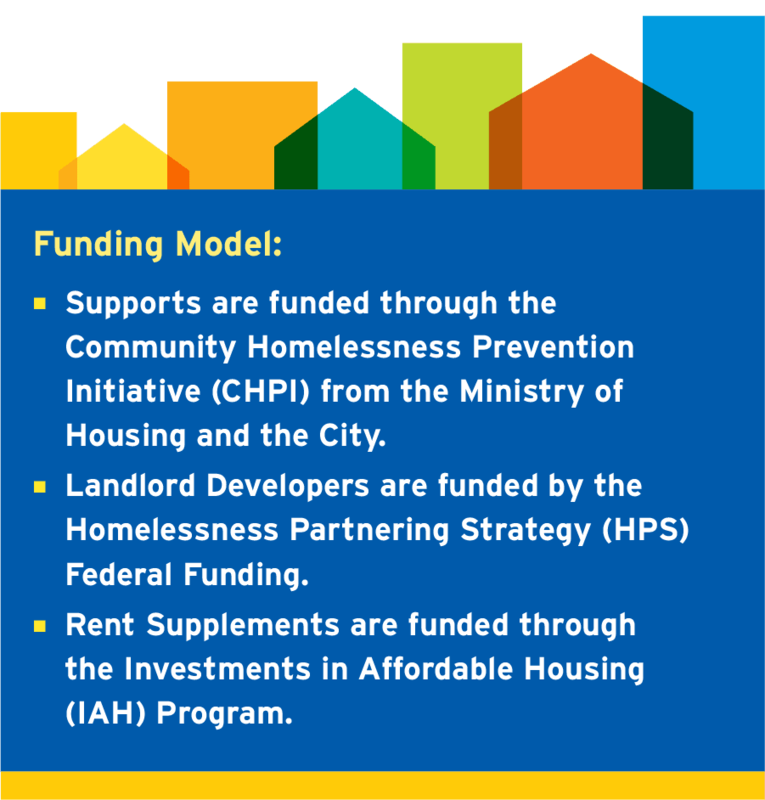 Services and Housing In the Province (SHIP) is a multi-service organization with a long history in supportive housing (formerly Supportive Housing In Peel). The Hansen building opened for occupancy in Fall 2016. 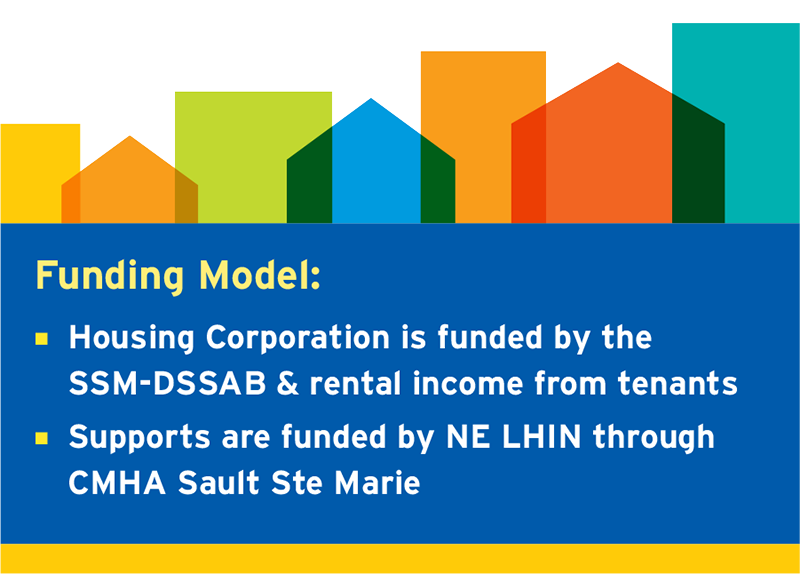 It is a mixed income building with two support programs on site: High Support Phase 2 and Housing in Place (HIP). Designing a new mixed-income building with dedicated supportive housing units within it. Providing residents a broad range of supports available within the organization. 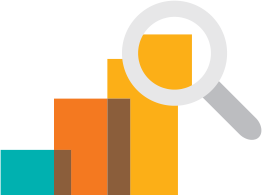 Across the organization, SHIP uses data and measured outcomes in order to assess whether their programs are meeting their intended goals. SHIP uses a number of formal measures in addition to hearing directly from tenants and their families about how they are doing.